”Earth Contacts” is the first video by the Turppi Group. 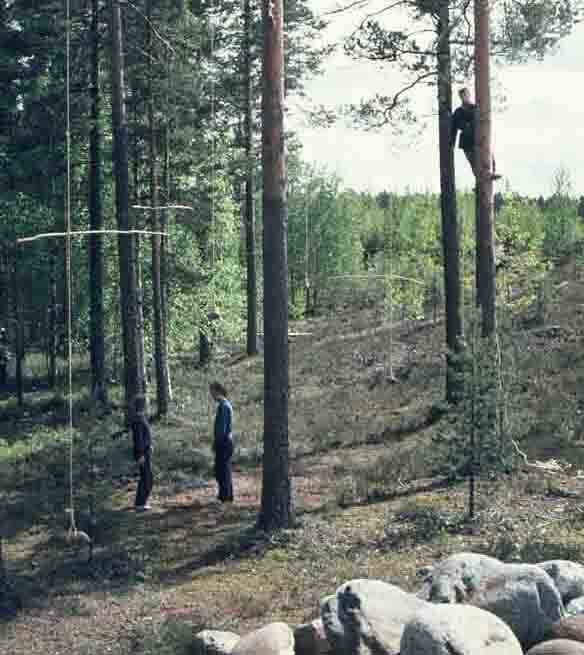 The video work was realized at the Lehtimäki International Land Art Symposium in the Summer 1982. The work was made by combining several different visual and body language elements developed by the Turppi Group during the symposium. 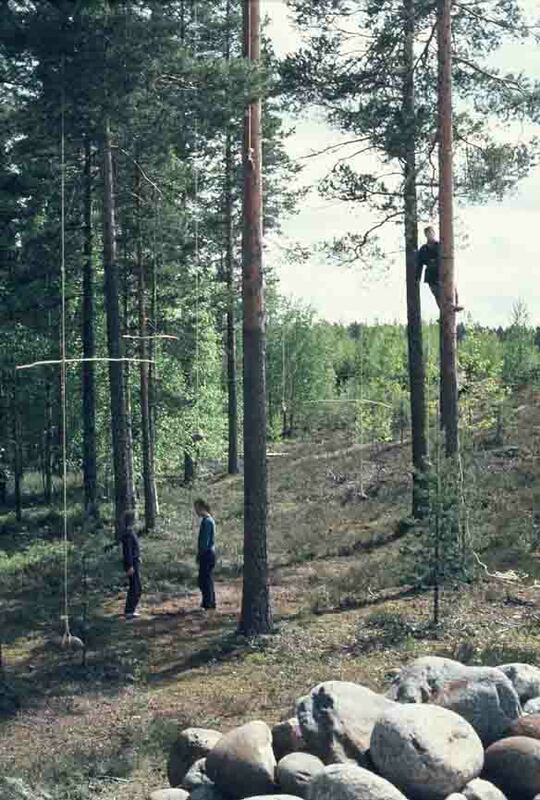 Sculptural and spacial details of the land art work “Resting Place” and performative sequences involved with it were recorded on this video. “Earth Contacts” received its final esthetic form in the editing process, where different visual ingredients were turned into a dramaturgical whole. The Turppi Group members were especially interested in natural environment, the relationship of man to nature, bodiness and physical world of experience and combining these things with the world of myths associated with natural elements and ritualistic performativity.